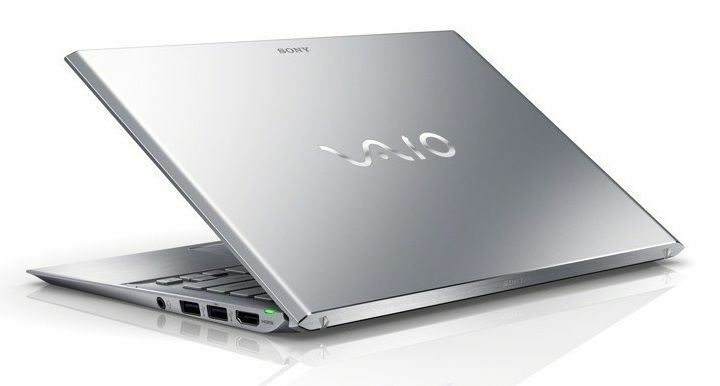 The Sony Vaio Pro looks aesthetically to be an evolution of the T-series Ultrabooks. Given the name, we’re wondering if Sony is going to make the Pro its new top-of-the-line ultraportable, replacing the much lauded Z-series. The Z-series has long been Sony’s premium Ultraportable, but it existed before the Ultrabook, and Sony has continued to develop it and pack it with to the brim with performance hardware, while maintaining weight and size — but it wasn’t officially an Ultrabook. Then Sony introduced the T-series Ultrabooks, but seemed careful not to step on the Z-series toes. But then Sony discontinued the Z-series this year. Will the Pro finally take over for the Z-series? 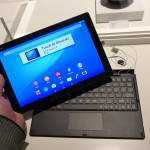 Enagdget, who has already released a review of the Vaio Pro, seems to think so, but Sony hasn’t made it official. 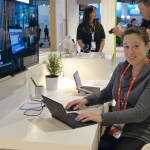 Here’s what we know about the Sony Vaio Pro: it’ll come in an 11.6-inch and 13.3-inch version; both will have full 1080p displays, and obviously Haswell is inside. The 11.6-inch model weighs in at an impressive 870g (1.92 pounds), while the 13.3-inch model is just over 1kg (2.34 pounds); this is achieved with the help of carbon fiber. Though it doesn’t have a touchscreen, the 13.3-inch NEC Lavie Z [review] still holds the all-time weight record for its class at 875g. Sony says the the Vaio Pro is the first Ultrabook on the market to include a high speed PCIe SSD drive, which they claim is faster than what you’ll find in current Ultrabooks. I must say, I’m underwhelmed by the port set on the Vaio Pro. Both sizes appear to have nothing more than 2x USB 3.0, full HDMI, full SD, and 3.5mm headphone. I’m currently testing the Gigabyte U2142 which has a far better port set with a similar footprint. 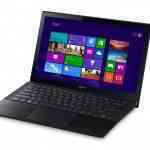 Sony Vaio Pro release date for both models is June 9th. There will be two colors available — Carbon Black and Carbon Silver — for about $1149 and $1249 respectively. As this doesn’t include displayport, does this mean external displays are limited to 1080p? Would surely be a dealbreaker for many in light of some of the external displays these days? But not at 60hz. 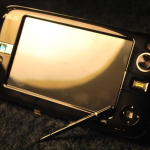 A common issue with the Z series where you need a hack to enable it to 50hz, but not particularly reliable. I was really looking forward to the pro, but sadly, will be returning it. I did a teardown (with video & pics) on my blog, in case you want to see/post it! uhh, where did all the other comments on this article dissapear to? Deleted? Lost? Am I just having a browser issue?